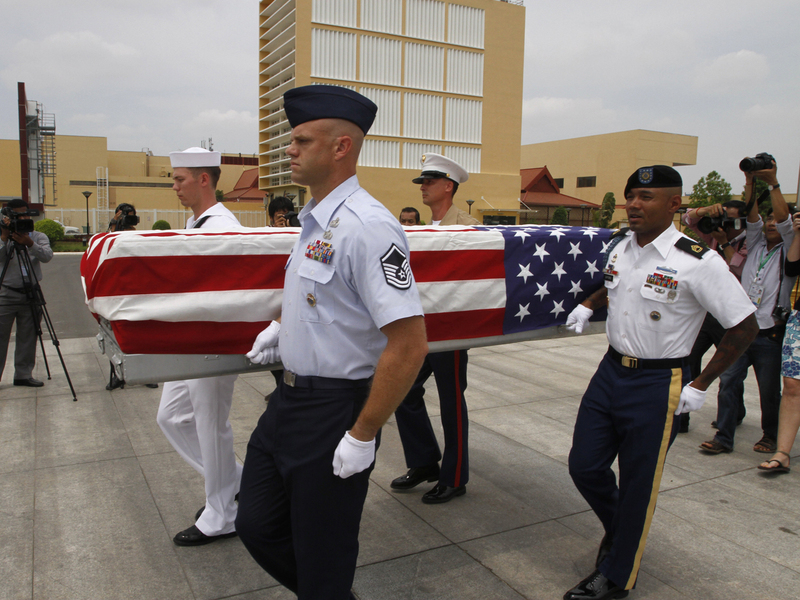 PHNOM PENH, Cambodia - A ceremony was held in Cambodia on Wednesday to repatriate what are believed to be the remains of three American servicemen who went missing in action more than 40 years ago during the Vietnam War. After lengthy study, Hagel decided to combine the functions of the two leading agencies in this field - the Joint POW-MIA Accounting Command, based in Hawaii, and the Defense POW-MIA Office, based in the Pentagon. Those two organizations will disappear; the new agency will be directed by a civilian official not yet named.